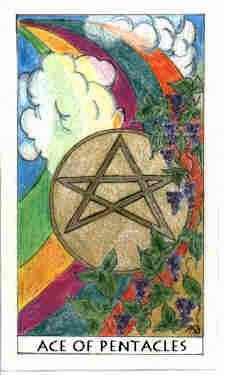 The Ace of Pentacles card suggests that my power today lies in assets or seeds. I have everything I need to co-create my own reality. I have value and I matter. I am empowered to nurture and tend to my own garden of purpose. I bring new life into the world.